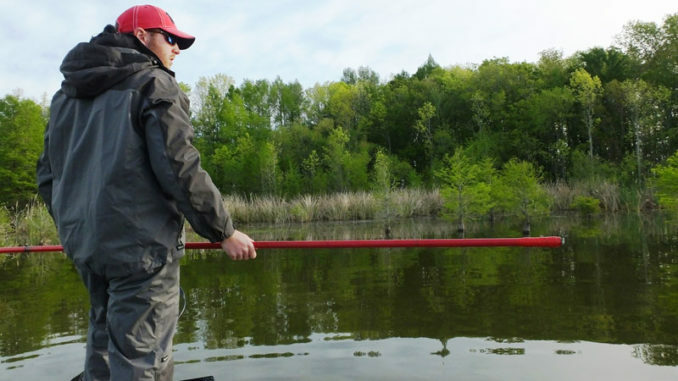 With bass moving into extremely shallow water for the spawn, stealth tactics like a push pole instead of a trolling motor can make a big difference. Experienced bass anglers at Lake Marion and Lake Moultrie begin looking for big bass moving into shallower water by late February. The trend continues on through much of April, but to be consistently successful, anglers need a basic plan for this specific shallow-water fishing. At 25, Evan Glenn of Bonneau, S.C., may a young bass angler, but he’s earned veteran credentials in those years. He has been fishing tournaments regularly since age 10 and learned about big bass fishing with his father, Darrell Glenn, now retired from tournament fishing. 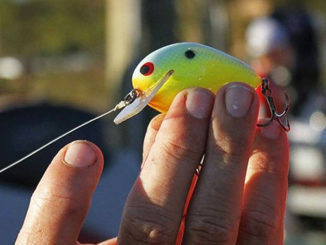 But Evan Glenn and most local bass gurus agree that March is THE month for the most bedding action by the largest bass. 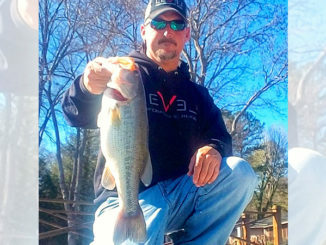 Glenn said when weather and water conditions align, an early spawn can occur in February or early March, and some of the biggest bass of the year typically move to the beds on that first wave. Glenn said multiple factors impact when the spawn begins, and water temperature ranks high. He said that length of day and overall water conditions also impact the move to bedding areas. Glenn said by getting on prespawn patterns before the spawn, he knows when that pattern shifts, they’ve likely made the move shallower to spawning habitat. 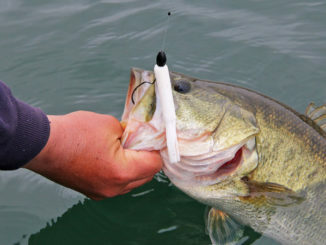 Bass prefer a firm bottom substrate, Glenn said, and sand, gravel and shell are usually high-percentage targets for him. He also likes pockets, coves and areas sheltered from heavy winds and boat traffic. Glenn said trolling-motor noise in shallow water is a consideration, so he usually makes long casts to targets and often uses a push pole to navigate in very shallow water. He said Ninja-like stealth can add big bass to the catch. 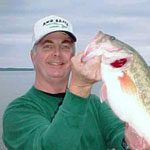 Glenn’s tactics include a variety of lures, and spinnerbaits are a favorite for shallow water fishing. When targeting fish on the beds, he also works a ½-ounce size jig with a crawdad trailer, with black/blue and black/red his favored color patterns. Glenn said not all bass spawn at the same time, and by late March and all through April, effective patterns include prespawn, spawn and postspawn techniques. “To be successful on bass at this time of the year I’m versatile with my fishing techniques to fish multiple possibilities for the best fishing on any given day,” he said. 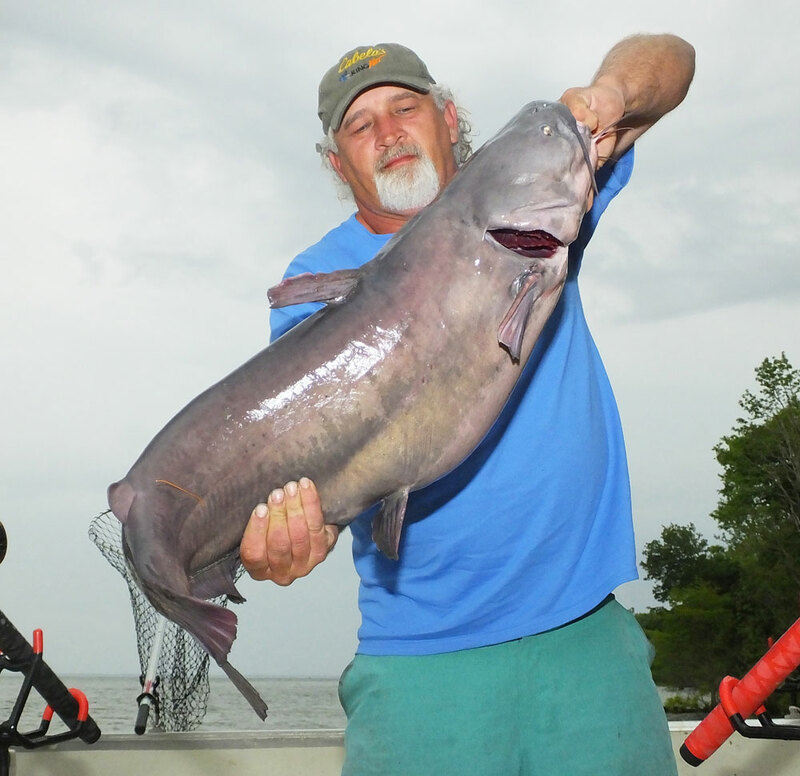 The Third Annual Santee Cooper Monster Cat Quest was held March 15-16 out of Blacks Camp on the Diversion Canal. This fast-growing tournament has grown from 72 boats in 2017 to 110 last year, and 177 this year. Gray Brookshire, Nelson McDaniel, and Phillip Griggs won the tournament with a two-day total of 227.40 pounds. Call Chris Gaines (864-617-5929) for full details and for next year’s dates.